Tile Source is my parents’ company so I built their website. Since 1997, Tile Source has supplied Encaustic and Geometric tiles for the Tweed Court House in New York City, many Court Houses in Texas and other parts of the USA, the State Capitol in Albany New York, the Ottawa Parliament, the Saratoga Memorial, Bethesda Fountains, Pennsylvania Academy of Arts and Sciences. We have also supplied Victorian floor and wall tiles to many fine commercial and residential projects across North America. Time Out's traffic is currently 60% mobile and we predict it to go to 75% within the next couple years. The Time Out website was developed for desktop and later made responsive for mobile users. We wanted to experiment with a design developed for mobile so we took what we learned from the Time Out Event Feed and applied it to all Time Out content. This was a difficult task because Time Out's content was siloed in different cities from acquiring multiple franchises. As a result, when Time Out London interviewed Leonardo DiCaprio, only readers on the London site could see the interview. To get around this, we created a master index to have a single, manageable API of all the available content from all of Time Out's cities and additional API's. We also created a way to draw connections between users, their location, and content to create a personalized feed. Here we had to step back. 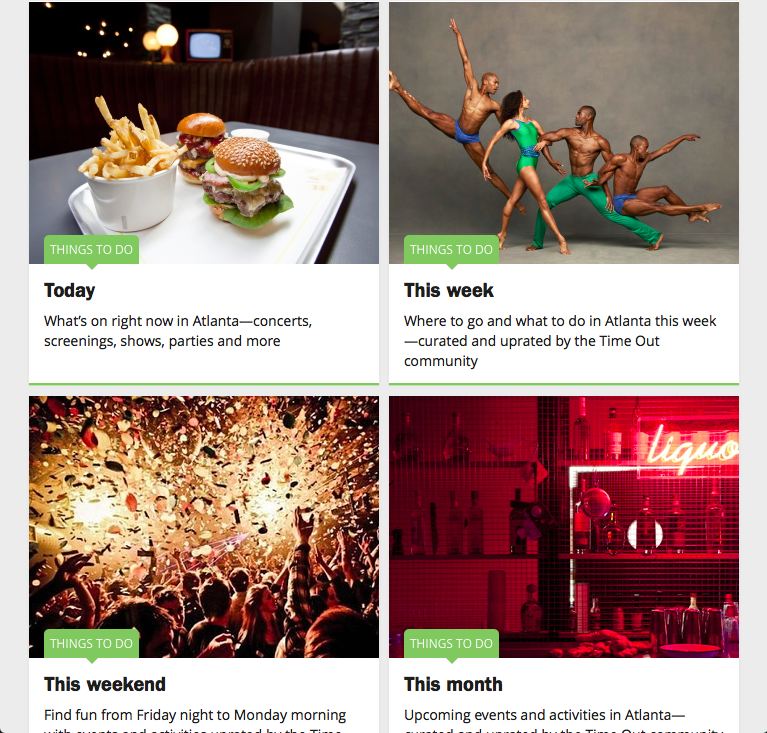 Time Out has multiple different types of content from events, features, venues, films, and more. We had to determine when different content types were relevant so we could present them in the feed. The result was that parts of the Master Index and the Feed were put into the roadmap for all of Time Out rather than just timeout.com. Unfortunately, the API is now being used for other products so the content no longer appears. I created the following video to explain what we were doing to the Time Out board. 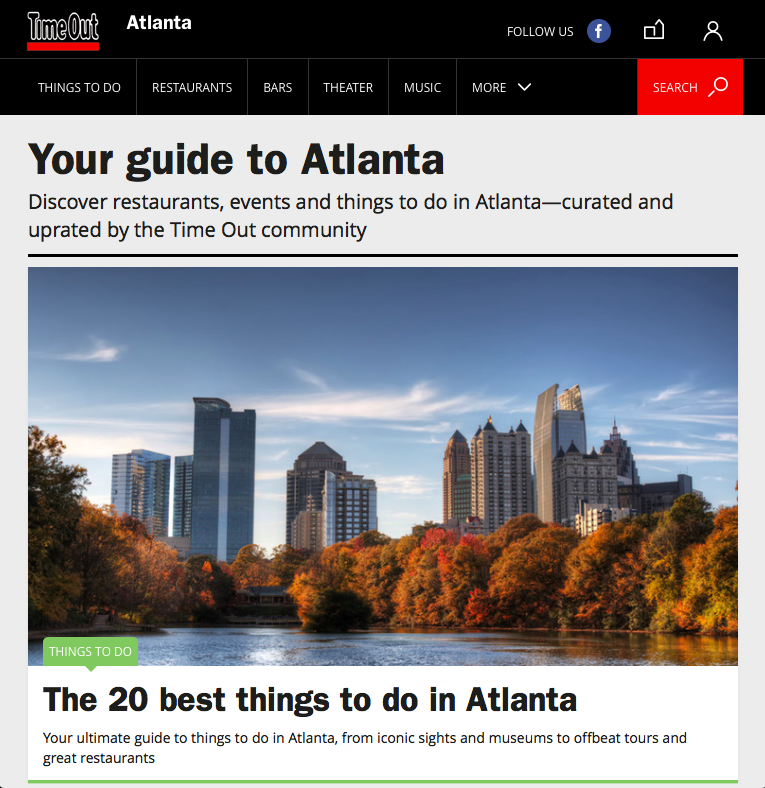 These Time Out city websites were automatically created using Facebook data controlled by Time Out World. These sites are on the Time Out platform after being tested off platform. 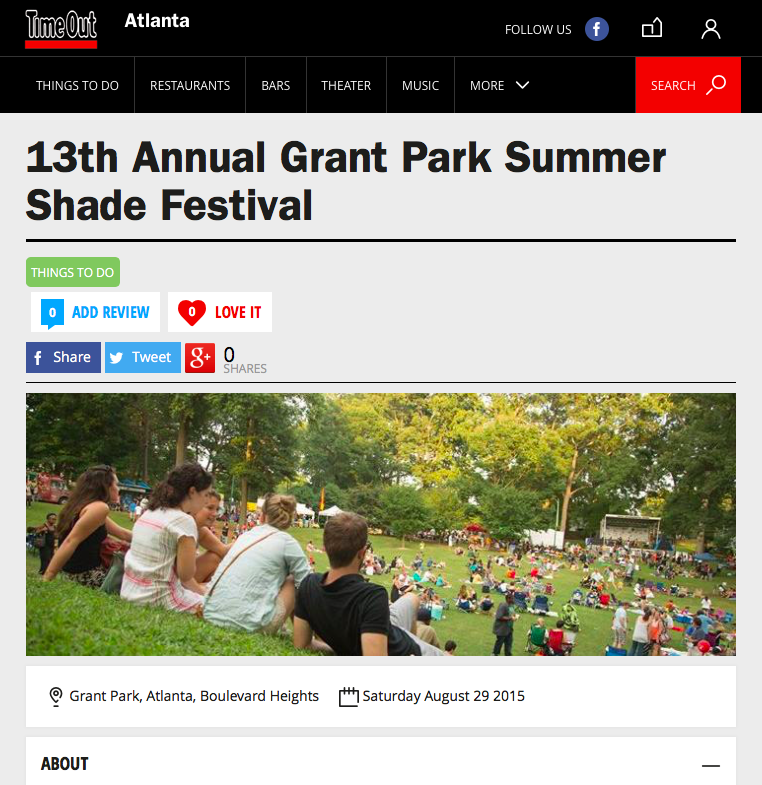 We were able to populate and curate best of venue lists and event lists. Time Out now has a personalized on platform city page for any city or neighborhood in the world. Automatically created Time Out city websites using Facebook data controlled by Time Out World. This was a test to make sure we could build a city on the Time Out platform.